Turin. A city that crosses every boundary blending traditions, cultures, religions... 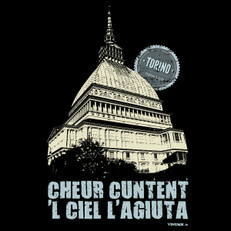 The sentence on this t-shirt is Turin itself: a happy heart is helped by the sky.